We're sure in luck this April as two talented, top chefs come together to create culinary magic for us in a stunning, brand new Secret spot in Rivonia. With more than 20 years of fine dining experience in some of South Africa's top restaurants and exotic places around the world, this dynamic duo has cooked for royalty, nobles and 'A-listers' but believes in treating every guest like a VIP. True epicureans devoted to the sensual enjoyment of food and wine, this creative pair believes in quality over quantity and strives to deliver the highest calibre food and wine imaginable. Coupled with our signature style of Secret evenings, we know this is one culinary celebration you won't want to miss! 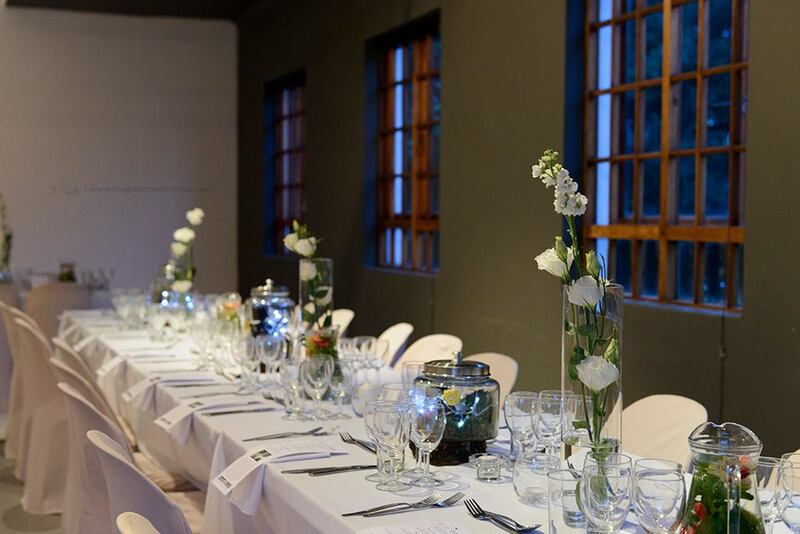 Join us for our perfectly paired four-course menu with wines from one of South Africa's premier estates to ensure your evening is simply splendid. Where's our Secret spot? Tonight, we're headed inside a brand new chef-focused concept space to tempt and truly tantalize your taste buds in Rivonia. Our evening always begins with a welcome drink and some canapes before we move to our dinner table. Then, indulge in course after course of gourmet goodness prepared by our two Secret chefs for the evening. As always, we have a few Secrets and surprises up our sleeve to make sure our #SecretEATS is simply sensational. Ready to join in the fun? Our Secret evenings aren't like any ordinary dinner party -- it's a social soiree bringing together the very best in food, wine and fun! Ready to join us for an evening of enchantment and excitement? Bookings are on a first-come, first-served basis. We recommend you hurry so you don’t miss out on the fun! We can't wait to see you at our #SecretSpringDinner. Have a question? Email us on service@thesecreteats.com. Copyright © SecretEATS South Africa 2019 | Our Terms. Notify me when Thursday, 18 April April's Secret Evenings Out is available.